To read more about my journey please get a copy of The Cooking Gene today! My next book will focus on my journey through Jewish food and learning. So enjoy this blast from the past just before Pesach. I am a Jew. Once upon a time people used to scoff at that statement because all they could think about was a Hasidic diamond merchant…because that’s not stereotypical…Others treat me more like a religious guest worker rather than a “citizen” of the People of Israel. I am an African American. Lord, if I had a dime for every time someone tested, questioned or tried to qualify that identity. (What makes you so African? Well you’re not an off the shelf, all-American type! You should think of yourself as Black second, American first…) Please be advised that NONE of this advice was ever solicited. Food is my sanctuary. Food is a proving ground for identity both for the maker and the consumer. Food is about ancestors, memory, and the passing on of secrets. Food is the place where I can be in dialogue with all points and corners of what its meant to be of African descent or be Jewish in both American and international contexts. Food is where people shut up because they are too busy chewing and don’t have time to pass judgment, say insensitive things or expose their ignorance. Food, glorious food: Thank you for being my anchor and my peace in the storm, my means of cooking out my frustrations and the ground on which I stand. I’ve said it before and I’ll say it again—Passover is my favorite holiday. I am a spring baby—and a gardener. I identify with the spiritual rigor that spring brings with it. I believe with my whole heart in renewal and rebirth. I keep my confidence in wooly willows and forsythia and pray after I touch the first dogwood and azalea blossoms of the year—because my Grandmother of Blessed memory did. I have wrapped my soul in the lessons and narratives of Passover on top of all of this spring fever because Pesach is an eternal temporal monument to the idea that freedom is simply the act of leaving a narrow space for a wilderness of opportunities built on uncertain faith. When I first started my journey, I didn’t have patience for the way people were confused and often annoyed with my path. I didn’t understand that the narrow place I felt captive to was not forever and that a wilderness awaited me. I didn’t get that I had to have patience and be ready to start all over again. Now I do, the lessons of life are always holistic, always cyclical, self-informing, and devastatingly harsh in their simplicity. I don’t know what people think Jewish food is. I think there is still a linger in the culture that sees Jewish food as a mass of things that goes on rye bread, cannot possibly be pronounced without gagging or producing mucus, is blessed by a rabbi and smells like fish, cabbage, harsh condiments and old people. Some even read some sort of sinister Kabbalistic workings into our recipes. I can tell you none of this true—Jewish food is a matter of text expressed on table. There is something truly profound about a cultural moment like Passover where this is made manifest, a moment where you are obligated to debate and discuss some of the most important questions and issues of human condition while debating and discussing the execution of your family’s heirloom recipes. One of the reasons I am madly, passionately, head over soles in love with Judaism is unrestrained passion it has for questions, analysis, study, review, revision and that dance it seems to revel in between tradition and intellectual anarchy. This process is not always done with a book. 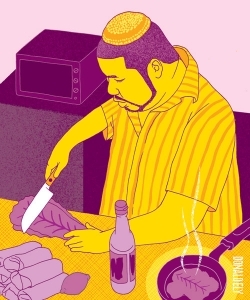 Sometimes it’s lived out through folk and material culture, and with food—the scriptures of Torah and Talmud give a uniquely Jewish life and law to what could just be a means to suppressing hunger and hours later, a reason to read a magazine for ten minutes with your pants down. 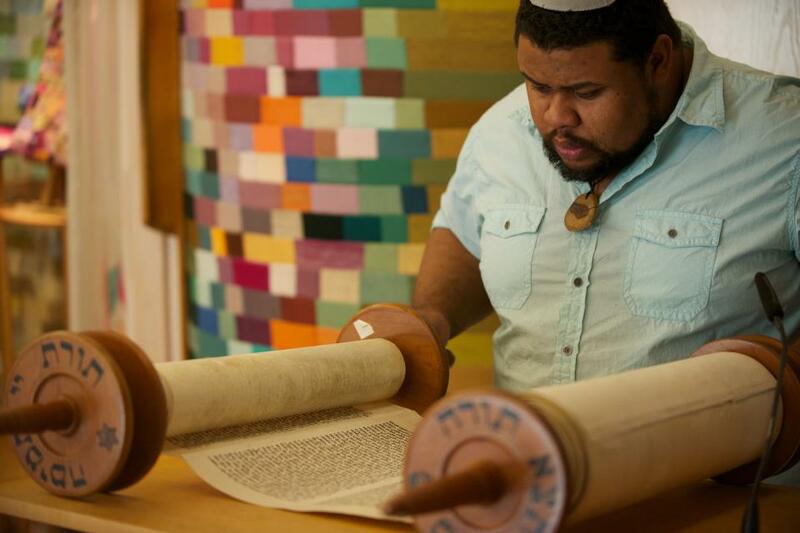 I am crazy about the fact that almost the entirety of the Jewish people will sit down tonight to discuss and debate the ancient lessons of slavery vs. freedom while using an edible Torah to process those lessons in their bodies—through all senses available to the eater. Doing this for 3,500 years is nothing short of a miracle. There is a sweet used to convey the idea that the mortar for the bricks of the storage cities of Pharoah called charoset. Some people make it with apples. Apple orchards the oral tradition tells us are where the nurses Shifrah and Puah hid the maie infants during the slaughter of innocents that led to Moses being set adrift on the Nile. Like Moses hidden in bulrush, matzah balls sometimes conceal a bit of chicken or cinnamon or ginger or other stuffings—in my case turnip greens. Why whip each other with green onions during the Seder as many Mizrahi (Eastern) Jews do? Because they remind us of slavery, of onions longed for when manna was the only delicacy of the desert, because there are puns and numerical games for which those onions have centuries worth of secrets to tell. Passover is an excuse to be creative in the kitchen because you can’t use gluten. No yeast, no gluten, no grain that has not already been made into an unleavened bread. For some that means no rice, no corn, no soy, no beans, no peanuts or any derivative product. For others it means no unleavened bread products whatsoever—so not even matzah balls. I am not in that number—Passover is all about rice, corn, soy, legumes, peanuts, and matzah and matzah meal soaking up as much stock, schmaltz and sop as they can muster. I don’t think I’m too far off when I say there’s a special irony to the fact the holiday that celebrates freedom from narrow places puts you in a very narrow confined list of possible ingredients while all the while liberating you to figure out new and exciting ways to make each Passover seder and the 7-8 days of meals thereafter brand spanking new. I am not suggesting that there is no such equivalent on the African and African American side. 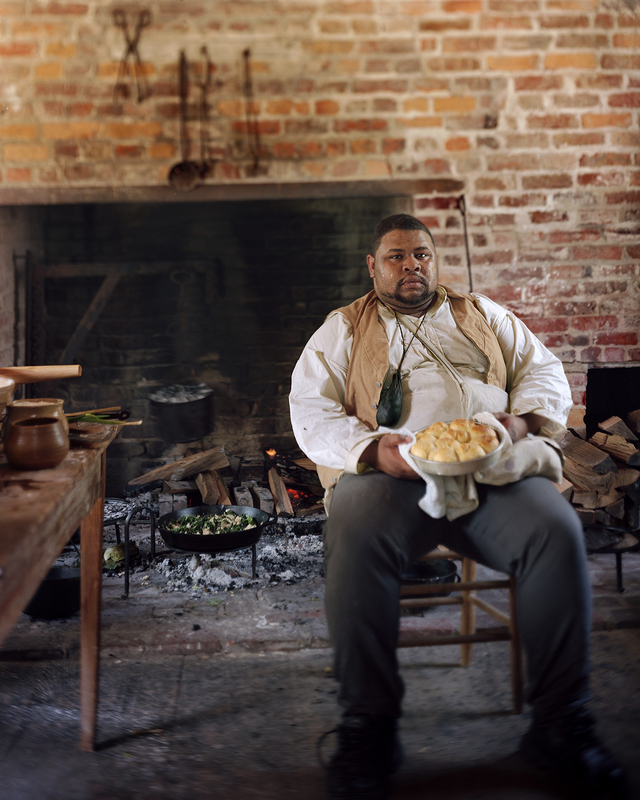 In fact, that’s my modus operandi for all that I do in terms of Black culinary history. I’m trying to divine a text out the scatterings from which our lives and our civilization as a people with shifting freedoms have presented. Passover was one of my inspirations to go back and fetch the medical, spiritual, emotional, familial and ethically didactic texts found in the foods of the continent and the Diaspora. Our history is told in the food our ancestors used to sustain themselves and survive the heartbreaks and disaster that enslavement, colonization and oppression brought for half a millennia. Some of you supported and are still following the developments and lessons of The Cooking Gene Project. 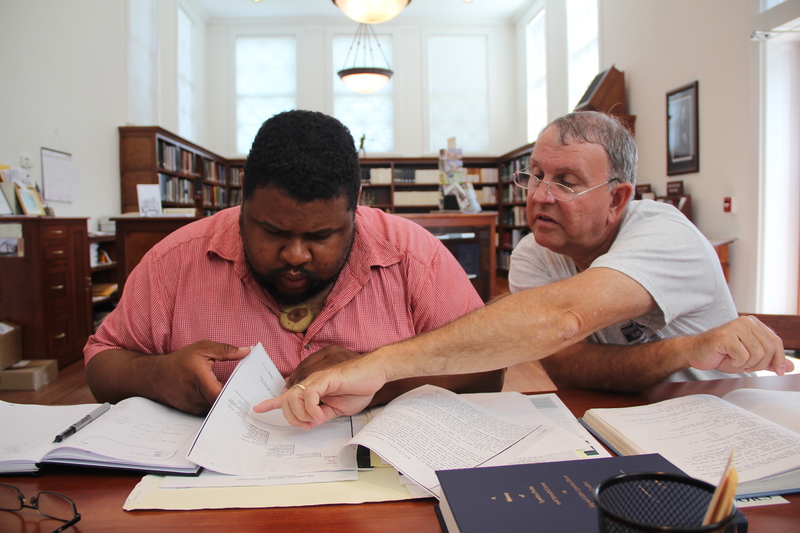 We intend to go on more Southern Discomfort Tours this summer and beyond to discover the relationship between the journey from Africa to America and from slavery to freedom in creating both American cuisine and the African American people. That whole spirit—“now we are slaves,” and “next year in Jerusalem,” both the immediate empathy with the people who suffered for our sake and the hope that full redemption will come if we dedicate a year’s cycle to the mysteries we learned while questing and questioning the story of Passover are my raison d’etre for the larger journey I’m on to unravel and reveal my African American heritage. 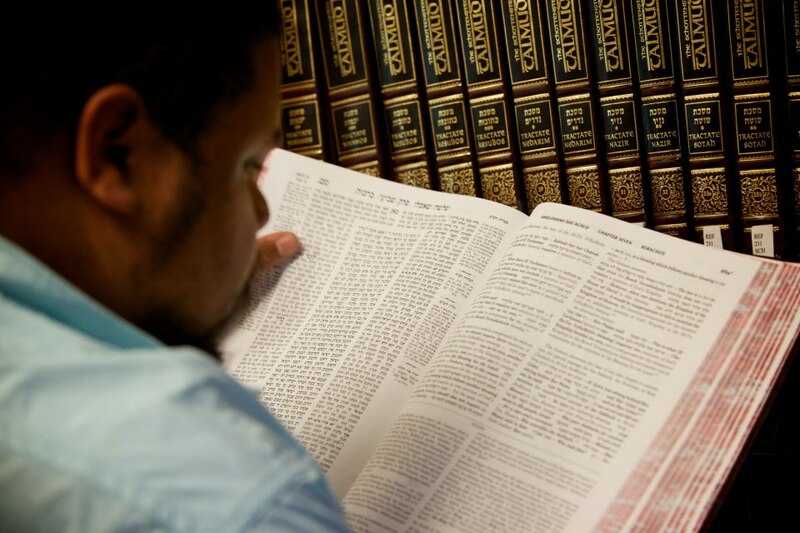 In the narrow places (for Egypt in Hebrew is Mitzrayim—meaning a Narrow Place) Black culture was born, liberating a people’s minds and souls despite restrictions and restrained expression. This 3,500 year old ritual meal inspired me to truly own and be inspired by the journey of my Ancestors. The genealogy research is maddening. The traveling on the road gets to be beyond mundane. The word “ennui” don’t cut it when the surprises and stimulations fail to deliver. And then as this Cooking Gene Project grows and weaves its own nest I realize the story never really gets wrapped up. We are still looking for Jerusalem. We will always be looking for it. The black eyed pea will always be magic to me. It is a Divine eye, it is the guardian of our tradition, a botanical jewel symbolizing fertility against drought and barrenness. Rice will ever sing of legends of seeds in hair—inaccurate historically but spiritually correct. Tomatoes will speak to the legacy of the Bamana, and onions to the Dogon. Sorghum is what my great-Grandfather made into syrup in the Carolina upcountry and the same crop that feeds millions to this day in Africa. What I’m speaking of are recovering the narratives across time, connecting all of us into one idea—that our food has not just been fodder for our journeys, it embodies the journeys themselves. Enjoy your Pesach. Enjoy each other. Enjoy being free. Enjoy your Easter and other commemorations. Enjoy the wilderness. Chag Sameach v’kasher! What a wonderful post! You made me homesick for my family’s seders back a few years ago. Coming from a large family, we were able to pick and choose to have our favorite relatives at the small sedar my folks gave (as opposed to the larger all-family one). That group always included our cousin Neal. 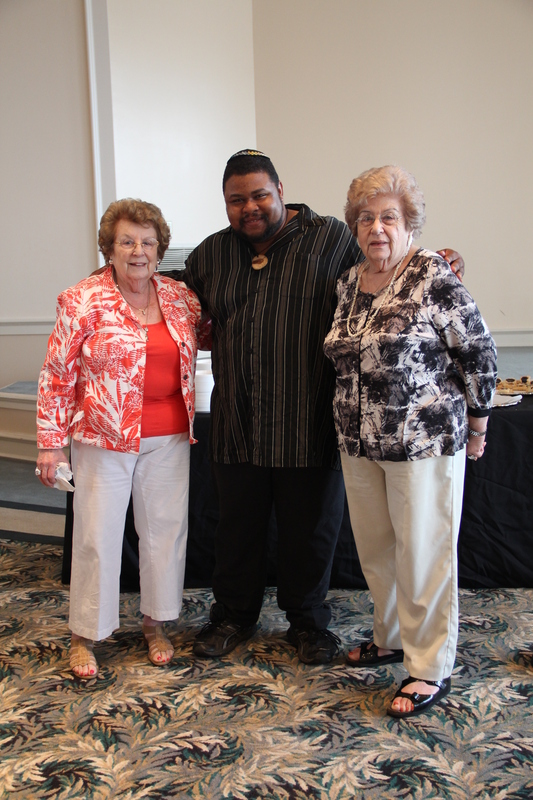 Neal wasn’t Jewish, in fact he’d been brought up Black Southern Baptist, but he had married into the family. 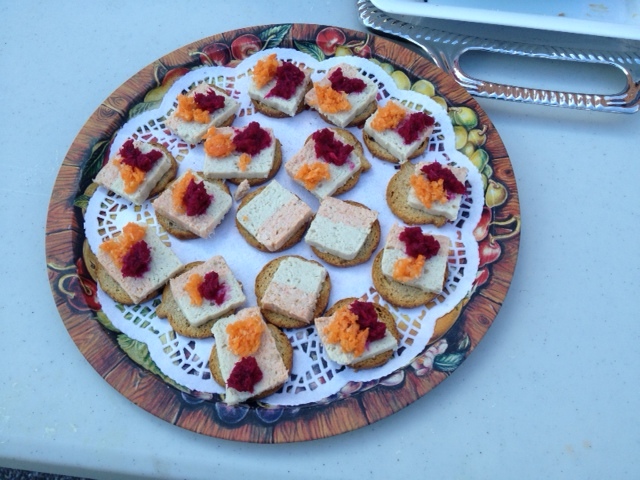 He was a chef and his home-made gefilte fish changed my attitude towards that dish. Being Jewish, as you so rightly point out, is a religion, a culture, a belief system – but not a race. There are Jews on every continent, of every color . I really enjoy your blog, thanks so much for putting in the time on it. Ditto, what you said. Which I could put it that way too. Wonderful to read and enjoy. Much belief , spirit, meaning and devotion. I loved this post! My younger daughter and I also include rice, beans, etc. in our diet this week, since we don’t eat meat. We will not be having our big family Seder until Saturday when everyone can be here, but I’ll be cooking all week and looking forward our family’s unique and fun celebration of the holiday. Enjoy your Pesach, too! Thoroughly enjoy your blog and your journey! Look forward to each new post and re-read older ones in between. Thanks for sharing. Do you have recipes for Matzo Meal Fried chicken and sweet potato charoset? 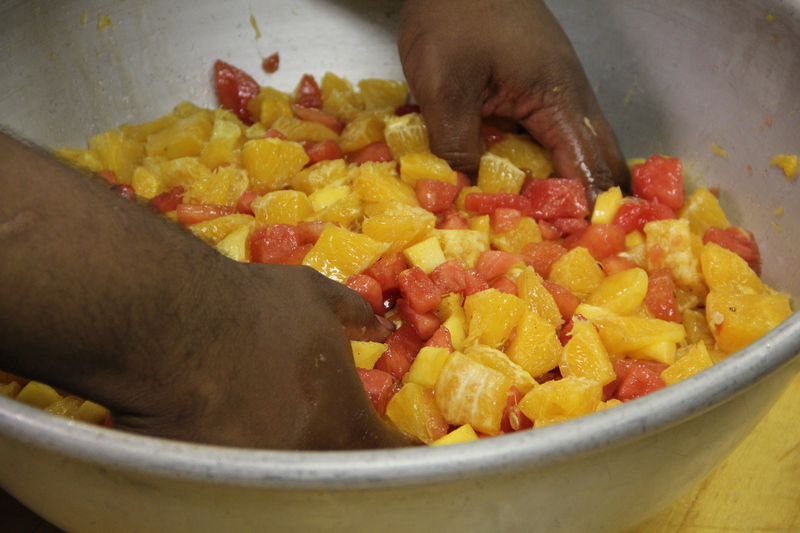 Sweet and Spicy Caribbean Compote sounds good too. Absolutely beautifully written! Your words truly touch the soul and speak to the palate! “Jewish food is a matter of text expressed on table. ” love that!!! Delish! You and the menu! But… no recipes? Such an intriguing menu and no recipes? Your writing and especially you menu brought a tear to my eyes. Todah rabah! Chag sameach, Michael!. Yasher koach on a beautiful essay. By the way, I served your West African brisket at our seder and it turned out wonderfully. My mom (who is discerning about these things) said it was the best brisket she’d ever had. Thank you and Pesach Sameach! Yasher koach on a beautiful essay. By the way, I served your West African brisket at our seder and it turned out wonderfully. My mom said it was the best brisket she’d ever had. Thank you and Pesach Sameach! This is beautifully written and very inspiring! It is a blessing to be given skills in an art that crosses borders. Best wishes on your journey to find Jerusalem. I feel like I’ve dined on your words. Eloquent, fabulous. Michael – I’m listening to you now on the Kojo Nambdi show and am totally captivated by what you are saying and what I’m now discovering on your blog. I will now start reading all your blogs and definitely want to prepare your turnip green stuffed matza balls with lowcountry pot likker (taste memories of my Southern Jewish upbringing from Beaufort, SC. All the best to you! Michael – I planned our seder for next year already asking my non-Jewish friends to come participate in a conversation about what it means to be a slave. I stumbled on your writing with your thoughtful entreaty to Paula Deen and I’m now hooked. I’m Sephardic too and four years ago I adopted my African American son – I’ve been reluctant to pass more than history and holidays onto him because of the fact that he already must deal with other in so many areas – having a Spanish Jewish (but white) older adopted LGBT mother. But when I read your writing and musing about connections across food and geography, I want to sweep my son in my arms and carry him to your table to break bread together. We are in New Orleans, if you’re travels take you here, you are a welcome guest. Thank you for adding me to your blog after the note I sent you a note concerning your letter to Paula Deen. I was raised as a Christian but my Jewish friends tell me I have a little Jew in me that is truing to get out. I expect that’s true. I will enjoy your blog and make some of the foods for myself.I make mahtzoh balls fairly often as my middle and eastern European ancestors have given me an ancestral love of dumplings. Again, thank you for the courtesy of adding me to your blog subscribers! I look forward to your Passover cookbook! 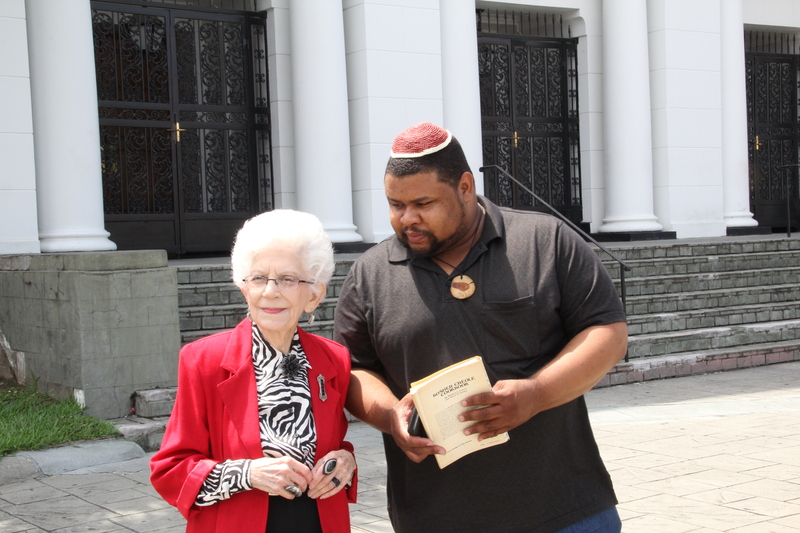 Pingback: Paula Deen, Afroculinaria and Kosher Soul | Yo, Yenta! Wow! I’m a Kabbalah student and all I was looking for was the restriction on eating garlic during Pesach. And I found your article, so moving, so beautifully written and hope you publish your recipes!!! Next year, and every year, may you find Jerusalem! Thank you so much for sharing your deep experience! I appreciate following you on twitter too. Do you have a favorite Haggadah? As a Jewish lesbian with an African American son, I’m looking to incorporate the Black American experience into our holiday and relate it to the ongoing struggle. Keep up the great work! So glad that my BFF, Suzy, forwarded your delightful and insightful mail to me. Your Afro-Jewish-centric entries bring a fresh breath of air to heretofore predictable lexicon of “standard’ recipes for both cultures. Although I have never thought about the combinations of African/Jewish food as you have described, the inclusiveness of both make for exciting cuisine with a familiar twist! The brisket recipe is on for my next shopping foray! 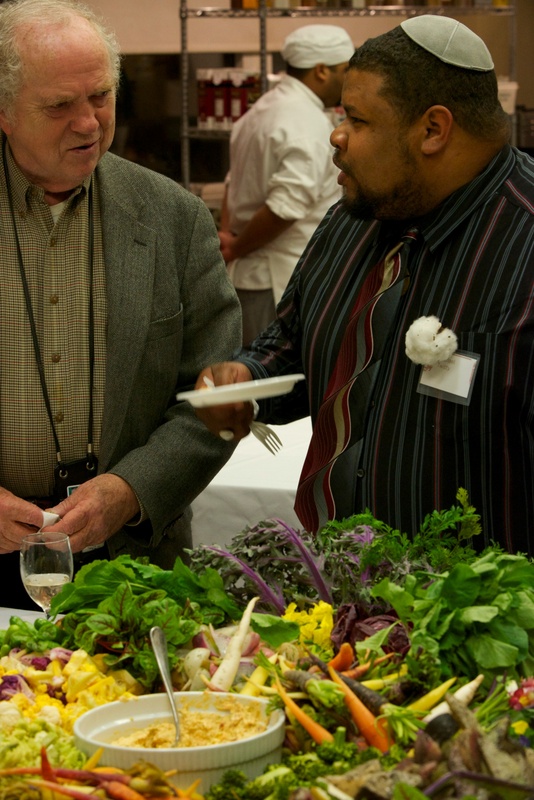 Thank you, Michael, for opening this window to new and thoughtful food customs, history, learning, and preparations. We have shared much parallel history; what a beautiful way of sharing it through food. And Suzy, I know that little kernel of Jewishness is still in there; I’ve seen it peek out several times! This is a piece t0 return t0 again and again. W0w. And what an inspiring menu– inspiring in the sense that it’s s0 symb0lic and delici0us and interesting and creative but it als0 helps me t0 explore ideas thr0ugh f00d and menu and technique….